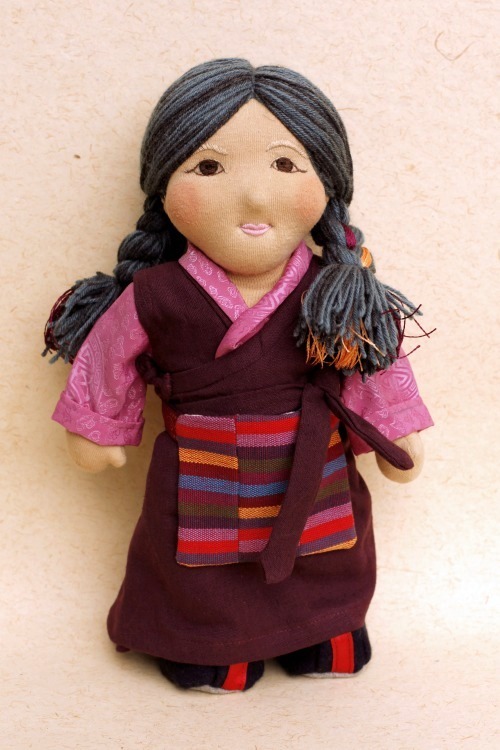 Tsering is our amiable Tibetan ‘Momo-la’ (grandmother). Her grey hair is plaited and interwoven with brightly coloured silks. She wears a traditional silken blouse, trousers and felt boots under her simple chupa dress, completed with the characteristic striped apron.